Summary: As it turns out, Google Image Search is one of the most powerful tools for finding guitar tabs online. 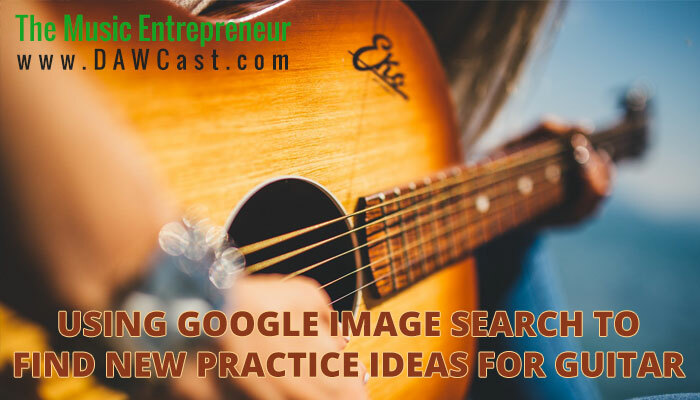 Whether you’re looking for practice and lesson ideas, riffs by your favorite guitarists, or something outside the box, you might be surprised by what you can find on Image Search. As a fellow guitarist, I’m sure you have your favorite sites where you go to learn new songs or riffs. For me, my go-to is Ultimate Guitar, although I’m coming to appreciate Songsterr as well. As long as I’m a guitar teacher, there will probably never come a time when I don’t access the vast resources that are online. I do use my creativity to come up with unique exercises for my students, but I also like to show them how to play well-known songs, since that’s one of the main draws of learning the guitar. (Update: in summer 2016, I stepped away from teaching guitar. I don’t spend as much time learning new riffs or looking for tabs, but I still like to use Image Search, especially if I’m looking to learn something quick). Recently, I’ve come to discover that Google Image Search is also a handy tool for finding songs, riffs, scales, and exercises. I know, I was a little surprised myself, but you never know when it might come in handy. I think I first came to this realization when I searched for a specific song on Google, and then clicked on the “Images” tab. More than likely, there was a song I couldn’t find on any guitar site, so I happened to try something different. Interestingly enough, I found what I was looking for. Since then, I’ve found that even if you can’t necessarily find the tab for the song you’re looking for, oftentimes you can still find the sheet music, which is better than nothing. If you can sight read, then you’re off to the races. So, if you just can’t find the song you’re looking for on your favorite guitar site, it might be worth trying Google Image Search. Us guitarists tend to watch a lot of instructional or demonstration videos, especially early in our development. I’ve watched my fair share of Joe Satriani videos myself, because he always has great tips to share (it might have something to do with the fact that he used to be a guitar teacher). Anyway, in one video I remembered that he was talking about a Joe Pass book one of his teachers had him work through. One day, I entered “Joe Pass chords” into Google Image Search, and sure enough, it turned up a few examples. The kinds of results you can find using Google Image Search. I don’t typically play a lot of jazz, so studying these examples brought me outside of my comfort zone. It didn’t take long before I figured out how to play several riffs, but it gave me something new to work on. By the way, if you aren’t regularly playing riffs and chords outside of your comfort zone, your growth could stagnate. I know it might seem weird, but I’ve found a lot of value in learning musical ideas that are outside of my primary genre. I think it has contributed a lot to my growth as a guitarist. I can clearly recall a time when I was working on a classical piece. Interestingly, that contributed to me becoming a better blues player. Similarly, I recently searched for “guitar arpeggio tabs” (there aren’t too many guitarists out there that love working on their arpeggios, are there? ), and that turned up multiple examples that I could immediately learn from. It’s important for us guitarists to address our problem areas instead of constantly going back to the things we already know well, so this simple method could help you find new and different things to work on in your playing. When it comes to learning guitar, there isn’t a shortage of resources you can take advantage of, from books and DVDs to magazines and blogs. Early on in my development, I delved into whatever I could get my hands on. But it’s always nice to add another tool to your toolbox, right? Did you find this tip helpful? Will you be giving it a try? What other sites do you like to use?